Wolf’s Lair attracts over 200,000 visitors annually, yet in spite of this information plaques are scant and largely uninformative. A local guide is essential to understand the inner workings of Hitler’s sanctum, and none are more knowledgeable than Jadwiga Korowaj (tel. +48 601 677 202). Her tours last from one hour upwards, and are priced at a bargain fifty złoty per hour. Those who insist on independence should buy the little red Wolf’s Lair guidebook at the entrance, an invaluable pamphlet featuring a historical overview, map and suggested tour route. Indeed, without a map or guide you’ll be left wondering around dense undergrowth staring in ignorance at the twisted ruins in front of you. Do also dress suitably; what looks good in a club isn’t going to cut the mustard when clambering around war ruins. While there’s no need for an Indiana Jones hat, a sensible pair of durable shoes are essential. As is a torch, and by this we mean a great, big powerful one, not the tiddly thing you use to search the attic. Tours kick-off in the car park, and it’s well worth first popping into the bottle green building to stock up on refreshments before hitting the forest. Today its home to a restaurant and hotel, in the past this building was used as living quarters for officers. 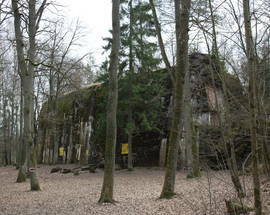 From here you’ll pass the remains of barracks used by Hitler’s personal security, and then, directly in front, the ruins of bunker number three – the site of Stauffenberg’s bomb plot. A plaque unveiled by his grandson commemorates the assassination attempt. The path ahead leads to two restored light bunkers, one of which is notable for a rusty radiator lying outside. That’s not junk, rather an original radiator salvaged from Hitler’s bunker. Beyond this and inside the renovated building is a scale model of the complex, as well as a glass case full of artificial leaves used for overhead camouflage. Moving back outside and you’ll notice a display of scary-looking shells and explosives. These are some of the 54,000 mines which were planted around the perimeter, and the boulder behind them commemorates the Polish sappers who died in the ten year operation to diffuse them. 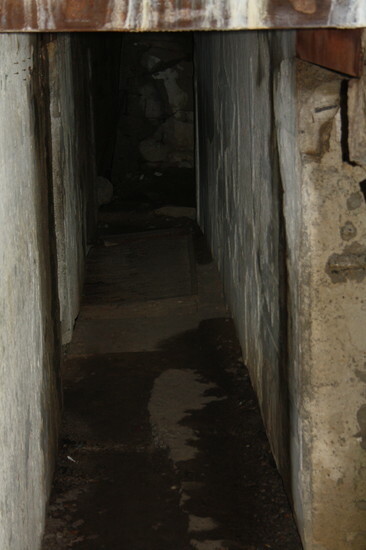 From here the prescribed route will bring you to bunker number 6, better known as the guest bunker. Hitler took up temporary quarters here while his own was being strengthened, and it’s here that foreign dignitaries would also be lodged. 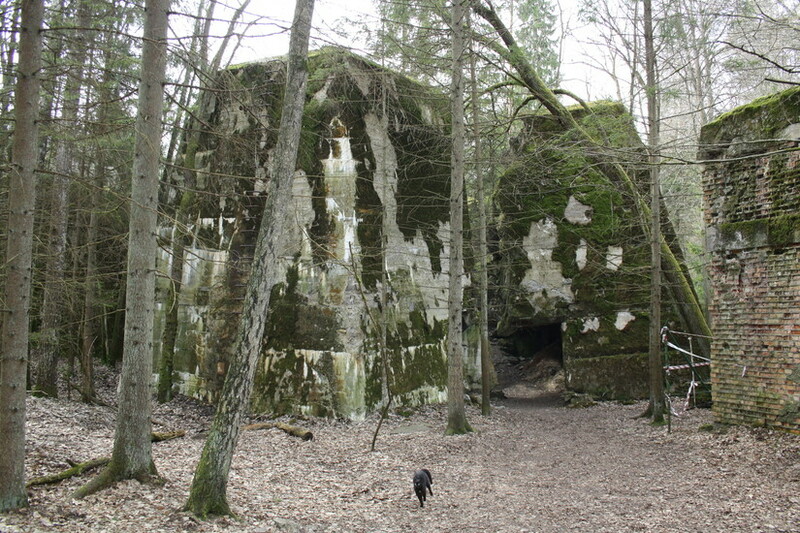 Onwards and you’ll find yourself passing several trenches – these aren’t defensive fortifications, rather the fallout from post-war Polish efforts to plunder the underground communication cables. 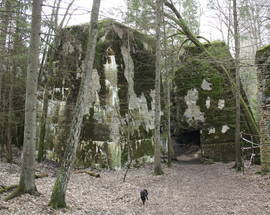 More gargantuan ruins follow, until the tour reaches its zenith at bunker number 13. 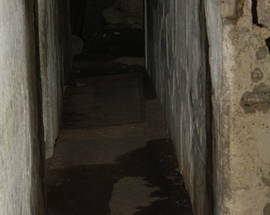 This was Hitler’s bunker, and while the signs outside urge visitors against entering it’s still possible to sneak into some of the corridors. Albert Speer likened Hitler’s domain to a Pharaohs tomb, and penetrating its gloomy depths can be a sinister and haunting experience. Best preserved of the bunkers is Goring’s, and it’s still possible to climb to the very top where the flak gun placements were positioned – a head for heights and nerves of steel are recommended on this one. Also, it’s well worth exploring the bunkers to the south of the railway line. It’s here you’ll be able to enter buildings used as Speer’s residence, and touches like fireplaces and shower floors can still be spotted by the eagle-eyed investigator. 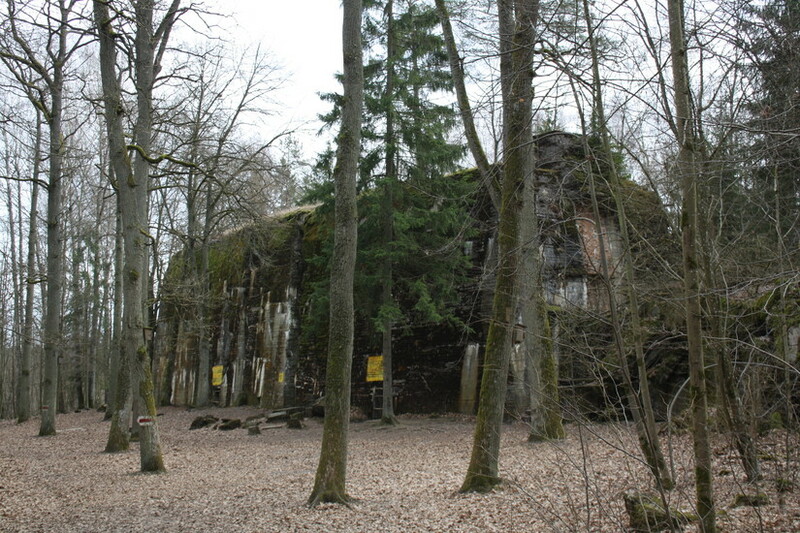 Finally, consider a trip out to the airfield where Stauffenberg made his ill-fated escape, still under the conviction that his mission had been successful. Better still, why not actually hire a plane from that period and fly over everything you’ve just seen. Find more details at www.lotniskoketrzyn.pl. The Wolf&#39;s Lair will be open. It is open everyday from 8am to dusk. 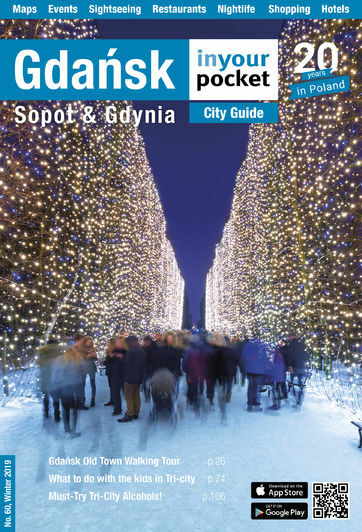 We recommend you book a guide beforehand though to ensure you get one at the time you want. The Wolf''s Lair complex has been under new management for a while now and we''ve had a bit of trouble updating the information. We spoke to them earlier and it is open from 8am every day and it closes at dusk which can be as early as 4pm in winter.